Over time, slouching can be a pain in the neck. At any given time, neck pain affects about 10 percent of the adult population in the U.S. Our heads can be a heavy load, so much so that many of us have lost proper alignment because our heads are too far forward from the rest of the spine. The consequences of your head hanging off the front spine, called forward head syndrome, can result in shoulder and rotator cuff problems, neck aches, headaches, back spasms and poor breathing patterns, all fixable problems. Forward head syndrome is the first sign that muscle imbalances are present. This causes the front muscles, pectoralis and subscapularis, to become tighter and the muscles around the shoulder blades to become lengthened, both factors limiting the muscles’ functioning. You can assess forward head posture by having a friend look at your posture from the side. A neutral head is rooted firmly, like a tree, in the “ground” of the upper back with the ear aligned with the center of the shoulder. Now face a mirror. Are your palms, or one more than the other, turned inward? If so, your shoulders are most likely slouched. Opening your hands so that the palms open in front and you can instantly correct some of your slouching. The key to change is to become aware of old habits creeping in again. As much as sitting in front of computers and television can be blamed for our heavy hanging heads, the root of the problem isn’t just that. Of course we would want to also look at the rest of the body to see if the cause may be coming from somewhere else. But overall, weak, tight muscles can inhibit moving well, as there is a rich dynamic inherent in the control of posture so that it is relaxed, not work. Ideal standing posture places the body’s joints in a state of equilibrium with the least amount of effort to maintain this upright position. pressing the backs of your arms and shoulders into the wall. Hold for five to 10 seconds, relax, and repeat four times. You can also do this exercise lying on the floor, or advance it by combining it with a wall squat. Try resetting what standing or sitting straight feels like by visualizing the spine as a chain of spotlights. Turn on the lights and observe their focal directions. If they shine in many confused directions, adjust them so that they all focus in an even plane. Now adjust them so that they shine with equal brightness. The key to change is to become aware of old habits creeping in again. Healthy shoulders require proper posture, good flexibility and good strength about the scapular region. 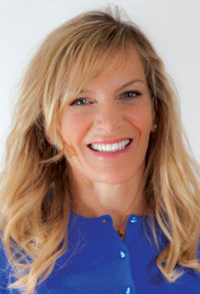 Connie Aronson is an American College of Sports Medicine health and fitness specialist. Visit her at www.conniearonson.com.